VANCOUVER — The Clark County Sheriff’s Office brought 46 new employees into its ranks in 2018 and there is room for more in 2019. Officials from the Sheriff’s Office announced this week that there are immediate openings for a number of positions in Corrections, Enforcement and Sheriff’s Support roles. The Sheriff’s Office is hosting a free informational workshop for those interested in pursuing a career with the Clark County Sheriff’s Office. Participants can listen to presentations from current Clark County Deputies, Sheriff’s Human Resources staff and the Chief Civil Service Examiner about the application process from the initial testing to date of hire. Participants are encouraged to have all their recruitment questions ready. This is an opportunity to talk with Sheriff’s Office personnel directly. 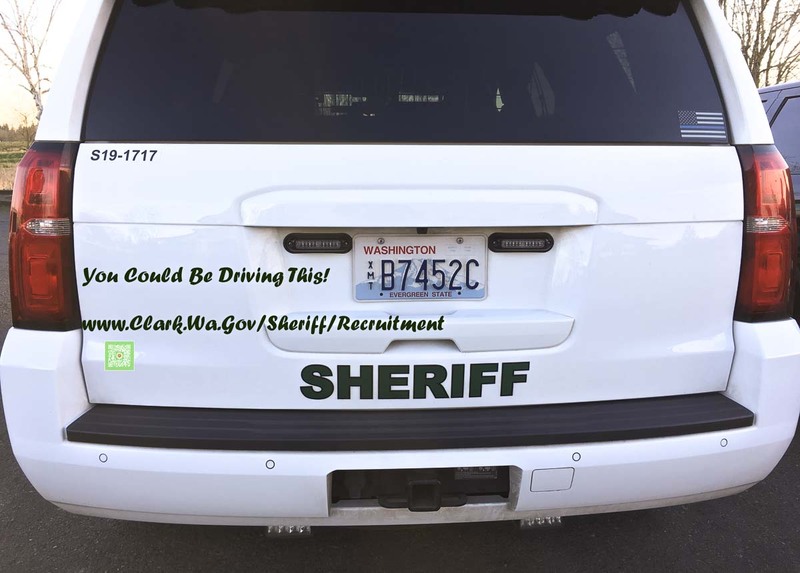 For more information, call Sheriff’s Recruitment at (360) 397-2176 or email sheriffrecruitment@clark.wa.gov .